The eBulletin presents updates and news on projects from the European Agency for Special Needs and Inclusive Education and its member countries. This issue of the eBulletin brings you news about the Agency’s support to the Ministries of Education in Cyprus and Poland in the framework of the European Commission’s Structural Reform Support Programme. 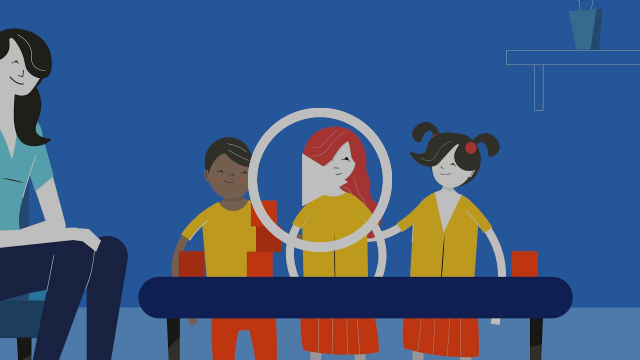 Watch our new animation video about the role of the Agency and our member countries’ vision for inclusive education systems. See new case studies on the Inclusive Education in Action resource base, built in cooperation with UNESCO. Find out about these developments and publications below. The Agency has been approached by the European Commission in order to technically support two activities approved in the frame of the Structural Reform Support Programme (SRSP). 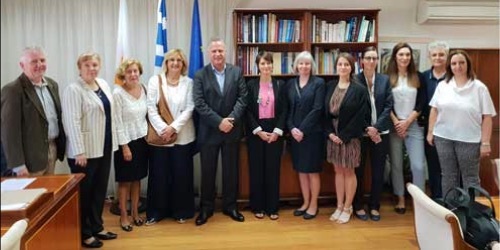 Both activities, requested by the Ministries of Education in Cyprus and Poland, are funded by the Commission and concern legislative educational changes regarding inclusive education. The goal of this technical support provided by the Agency is to provide assistance to the concerned Ministry of Education to ongoing work towards inclusive education and to design a reform of special education provision in order to make it more efficient and inclusive, and in line with the priorities at European and international levels. The next step for the Agency was to further develop the draft recommendations by consulting key decision-makers in Cyprus. In October 2018, the SRSS team held a workshop and consultation meetings with stakeholders in Cyprus with the aim of informing and discussing the draft recommendations. Read more about this meeting in this article on the Agency website. The Agency member countries’ ultimate vision for inclusive education systems is to ensure that all learners of any age are provided with meaningful, high-quality educational opportunities in their local community, alongside their friends and peers. A new animation video presents the Agency's role and this vision for inclusive education systems. The Inclusive Education in Action website now presents a collection of important and interesting case studies from different areas of the world. These case studies can be a resource for international policy makers who are working to develop equity and equal opportunities within education systems globally. 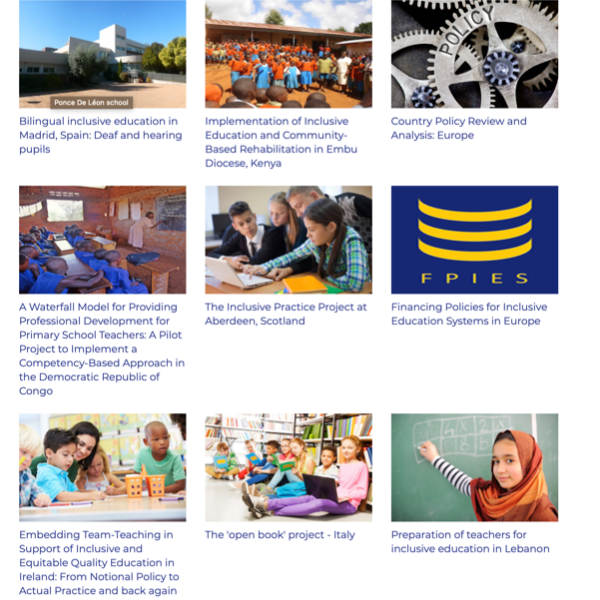 The case studies available on the IEA website come from different regions of the world and describe diverse policy approaches taken to develop inclusive education systems. The case study about implementing inclusive education and community-based rehabilitation, from Embu Diocese in Kenya, describes a pilot project organised with the aim of developing inclusive education in 30 schools. A key feature of the programme was the full involvement of local communities in the inclusion of all children. This meant that the inclusion policy was developed at the level of the school communities. Different groups defined their roles and worked to develop their own policies which complemented national policies. The Waterfall Model for Providing Professional Development for Primary School Teachers from the Democratic Republic of Congo (DCR) aims to improve the quality of primary teaching and its relevance by adapting the content to the local socio-economic context. This initiative is rooted in an African reform movement that favours the development of competencies, as prescribed by the Basic Education in Africa Programme. This programme recommends moving from a knowledge-based approach to learning towards a competency-based approach. A policy of inclusive education, aimed at Reaching the hard-to-reach, has become the entry point for child-friendly education in Lao People’s Democratic Republic. The system and individual schools focus on greater sensitivity to each learner’s needs, more concern for getting the fundamentals of learning ‘right’ and greater attention to the often difficult transition from one level of schooling to the next. This policy, involving a systematic programme of advocacy, situation analyses and pilot projects, has led to the development of national standards and sector development plans based on UNICEF's Child-Friendly Education (CFE). It has fostered strong partnerships that have helped CFE principles and dimensions become internalised throughout the education system. Case studies are added regularly to the Inclusive Education in Action website. There is now an open call for case studies on the site. New case studies from all regions and countries presenting material on key policy development in the move towards inclusive education are welcomed for consideration. This new literature review aims to examine the available international and European literature (post-2012 and key literature published earlier) in order to identify key concepts underpinning policy and practice for inclusive school leadership, and agree operational definitions of key terms and concepts to be used during the project. 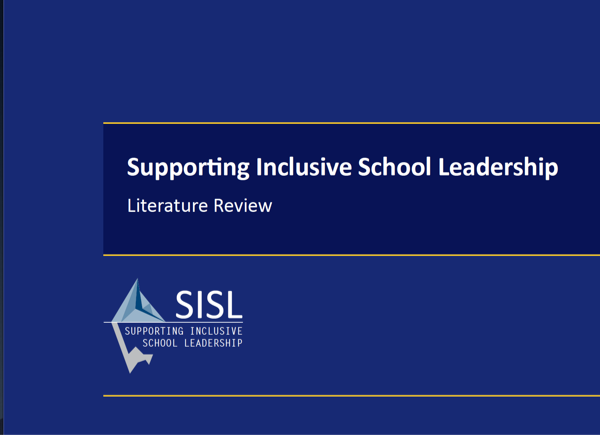 A policy review was also developed in the framework of the Supporting Inclusive School Leadership project. This document summarises recent international and European-level policy documents that are relevant to school leadership. This work has supported the design of a survey to collect relevant information from Agency member countries, to examine policies that impact on school leaders. 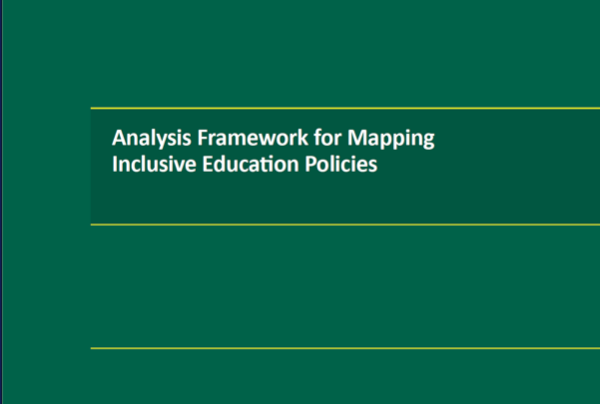 This document presents an analysis framework that has been developed to map inclusive education policies. Specifically, it has been developed to systematically record available documentary evidence on country policies for inclusive education in a highly structured way, results from the different aspects of policy analysis work conducted by the Agency. This analysis framework has notably been directly used in some of the projects financed by within the European Commission Structural Reform Support Programme (SRSP) activities. The European Agency for Special Needs and Inclusive Education is committed to creating and disseminating Agency information which is accessible for all users. We are unable to guarantee the same level of accessibility of externally produced materials and websites referred to.